The travel series continues! 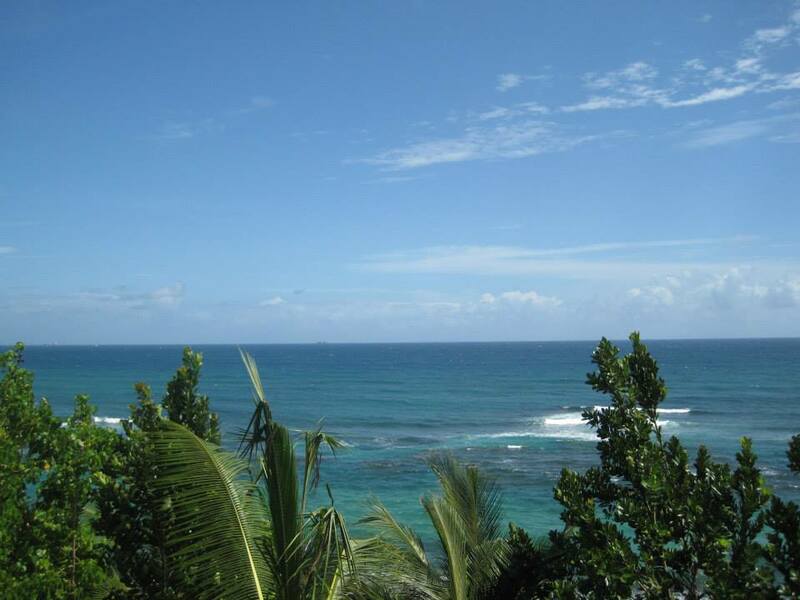 Today on the blog, I will be sharing my experiences in Puerto Rico- Old San Jaun in particular. Prior to traveling to Puerto Rico, I will admit it was not on my travel wish list. This probably had to do with the fact that I had not heard much about Puerto Rico as a travel hot spot. 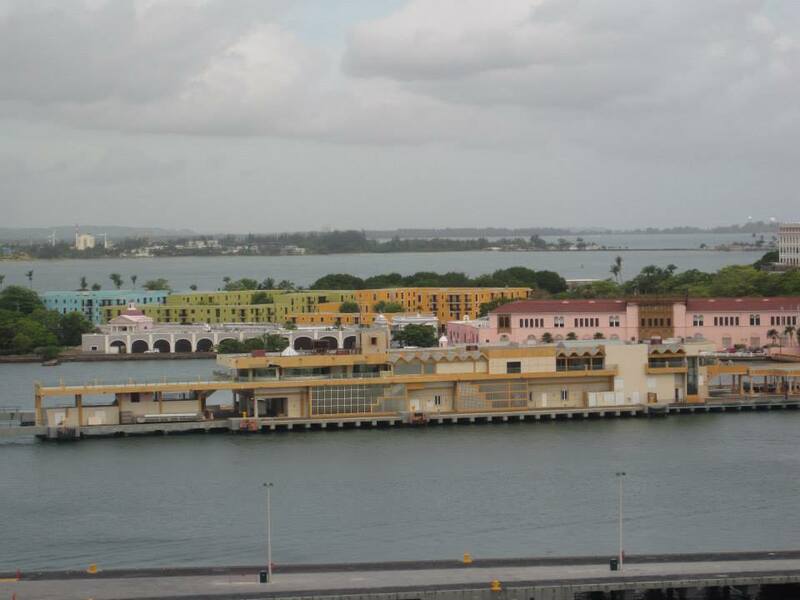 Thankfully, I went on a cruise with my family and Puerto Rico was one of the destinations on the trip. Now, after travelling there, I can honestly state that Puerto Rico has become one of my favorite caribbean islands and I am thrilled to share my experience there with you all. San Juan is broken up into Old San Juan and New San Juan. We decided to focus on Old San Juan for our trip. As I have never been to Old San Juan, I naively assumed that it would be filled with aging historic buildings and appear to be less modern. But obviously, I was wrong. The parts of Old San Juan I saw were beautiful, modern and vibrant. For instance, the picture above show the bright colours of paint that are used for buildings and homes. I loved seeing the different colours, as it demonstrated the strong culture and vibrancy of the people living in Puerto Rico. One of the first spots I visited was the capitol building, which was really interesting since there were statutes of political leaders located across the building. 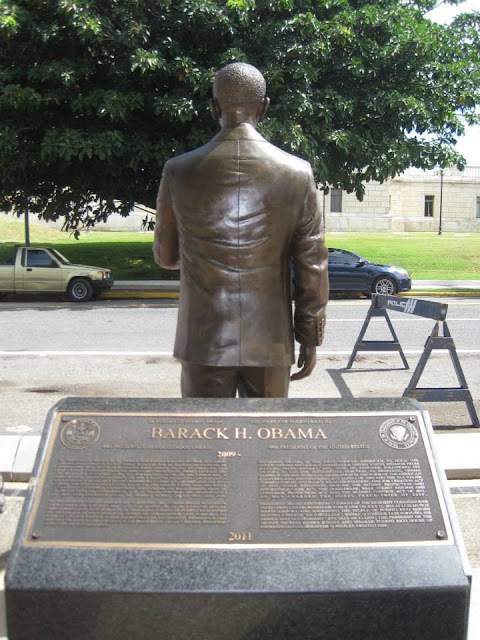 The area the statutes are located on is called the Avenue of Heroes and some of the statutes include: former Presidents Lyndon B. Johnson, Theodore Roosevelt and President Barack Obama. I must admit it was nice to see the statute of Barack Obama and I couldn't help but take a photo with the President. 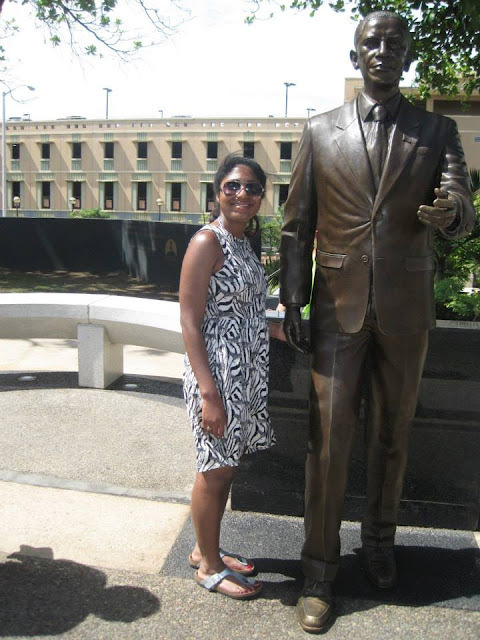 All smiles as I pose with the President ... wind blowing in my hair and all. 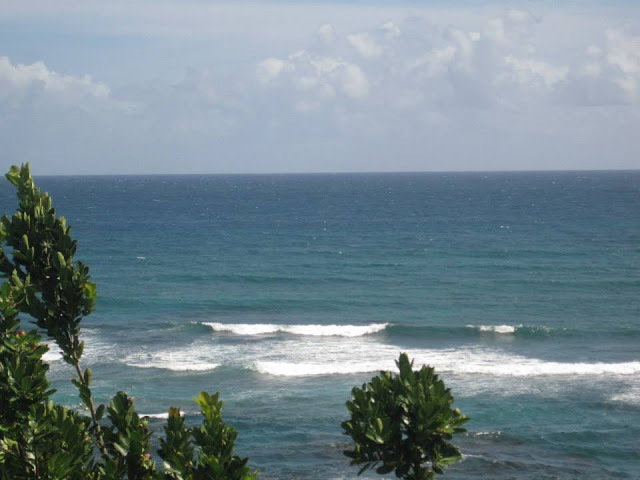 As you can see from the picture above, Old San Juan has some beautiful beaches. Honestly, the water and sand are so breathtakingly beautiful, I would go as far as putting them on my list for must-see beaches. 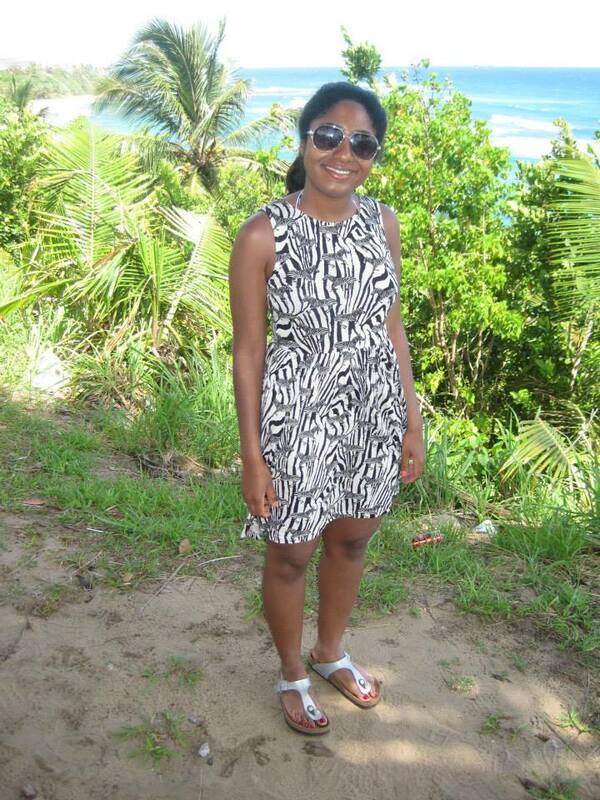 I'm standing on the a cliff lining the beautiful water of Puerto Rico. 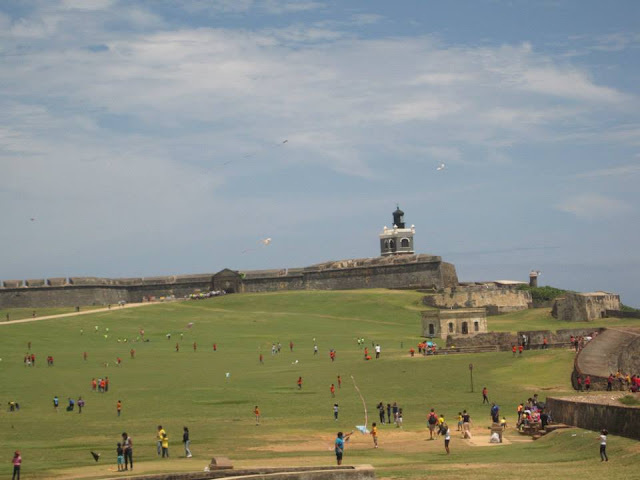 Probably one of the most spectacular things I saw was when the children were flying their kites after school in the field in front of the fort El Morro. I remember as a child I would fly my kite in my park...struggling to get it to stay in the sky. Seeing all these children on the field flying their kites was so magical and lovely to see. It is definitely a spot you should visit if you go to Old San Juan. Overall, I had such a great time in Puerto Rico and I cannot wait to go back again! I hope you found my travel experience to be helpful and will consider visiting Puerto Rico in the future. Thank you for reading! Have you ever been to Puerto Rico? If not, is it a spot on your travel wish list?